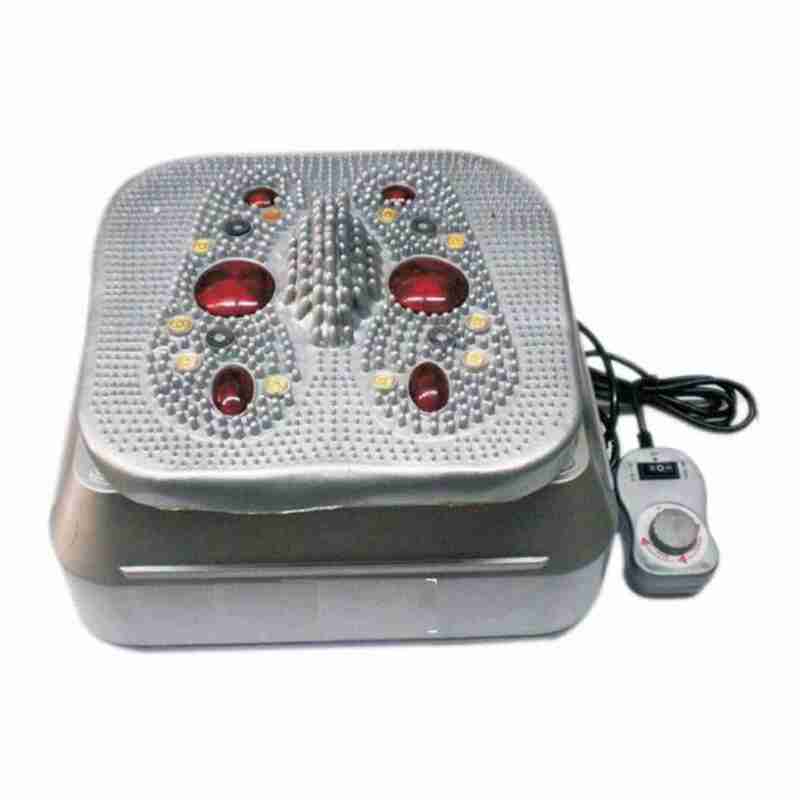 Oxygen & Blood Circulation Machine (A) Quickly improve your Blood Circulation, (B) Prevent the high and low blood pressure, Removes Lactic acid & Uric acid. (C) Relax tiredness, improve insomnia. (D) Ease pains in the shoulder, neck, waist and improve the phenomenon of cool hands and feet and anesthesia. (E) Get rid of arthrosis rheumatism and nerves shrink. (F) Frees up tight joints and organs. (G) Improve the chronic disease such as : diabetes, lung bronchitis. (H) Balances the Yin & Yang energy. (I) Presses all reflex points. (J) Removes blockages from channels & blood vessels. (K) Relaxes the muscles. A set of scientific experiments undertaken by the development centre of Chinese heart blood vessels magazine show that after standing on the high frequency helix surge instrument for 15 minutes, the speed of blood circulation of the feet increase by 130% and the speed of blood circulation in crura artery increase by 54.5%, for another people who suffer from high blood pressure, their shrinking blood pressure decrease by 11.7% (18.1 mmHg), stretching blood pressure also decrease accordingly.